The greatest television crossover is about to happen, ladies and gents. 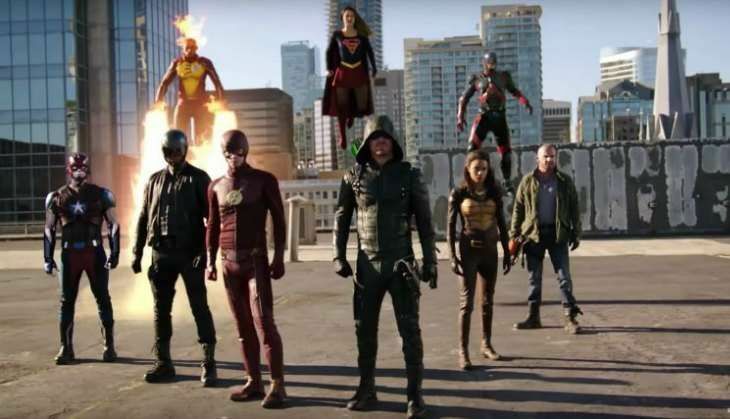 Christmas has come early for DC Comics fans what with this incredible treat planned which will feature CW's giant four-show crossover coming Monday. Judging by the new trailer, the superheroes and vigilantes band together to fight against some seriously scary aliens, called the Dominators, that have come to Earth and are ready to basically exterminate humans. The four-show crossover combines Supergirl, The Flash, Arrow, and Legends of Tomorrow and will cover four episodes - Monday to Thursday. Apart from the incredible special effects and one-liners from favourite quippy heroes, there are a few moments that might worry the watcher. That little speech Barry Allen (The Flash) is giving about how it has "been an honour" to work with everyone sounds an awful lot like the kind of speech one would give when all hope is lost. The Heroes v Aliens event starts with Supergirl on CW broadcast network. Gear up. Awesomeness is coming.